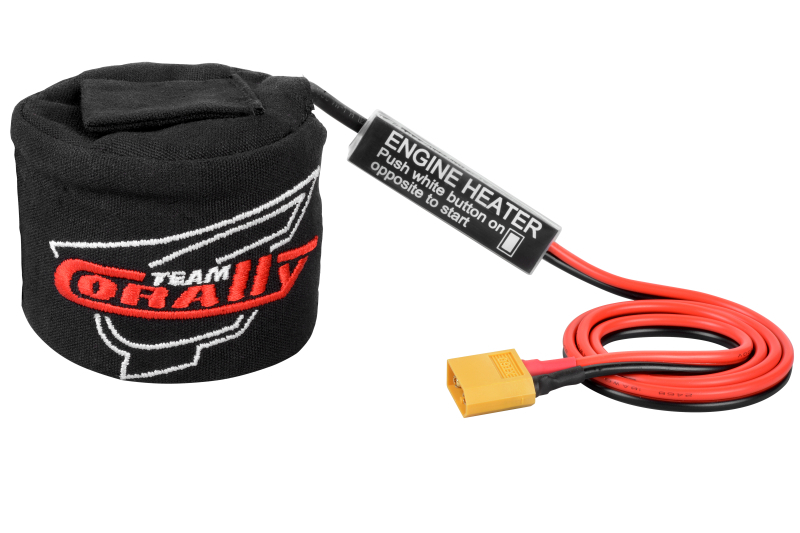 The Team Corally Engine Heater will pre-heat the critical internal parts of your nitro engine resulting in reduced wear and unnecessary stresses on critical internal parts including the crankshaft, connecting rod, piston and sleeve. Pre-heated engines start-up smoother, easier, and reduce stresses on starter boxes. temporary reduction of mechanical "pinch" allowing for easier and safer start-ups. o High-efficiency heat transfer design. o Access port to monitor temperature and even start your engine without the need to remove heater.